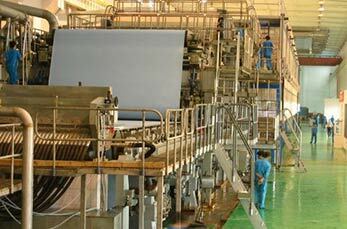 Testliner paper machinery supplied by Leizhan: flexible and trustworthy Testliner paper manufacturing equipments. From complete Testliner production projects down to individual spare parts, Leizhan delivers most advanced Testliner production solutions. Leizhan engineers provide solutions for Testliner producer based on various raw materials and production capacity requirements. Leizhan can deliver a full Testliner production line, from the stock preparation to the reeling machine, including automation. Machines supplied for Testliner manufacture system contains: chain conveyor, D type hydrapulper, High density cleaner, 1st mid consistency coarse screen, Fiber separator, Reject separator, Mid-density cleaner, Long fiber 1st low density cleaner, Long fiber 2nd low density cleaner, Long fiber 3rd low density, 1st stage Mid-density pressure screen, 2nd stage Mid-density pressure screen, Double disk refiner, etc. Leizhan Testliner production machinery have been welcomed by the international Testliner industry. Leizhan high yield testliner machine contains the following components: reeling machine, sizing machine, calender,dryer cylinder, press roll, felt leading roll, doctor blade, stretcher, cylinder mould, gear, foundation plate, felt, boiler, etc. Leizhan testliner machines have trimmed widths from 1880mm to 5800mm and basis weights range from 80 g/m2 to 220g/m2. It can produce 45-750 tons of testliner with the operating speed of 150-800m/min.